HTML is an amazing language for creating static documents, but it was never designed for interactive web apps. Many libraries try to get round HTML’s limitations, but very few tackle them head on. 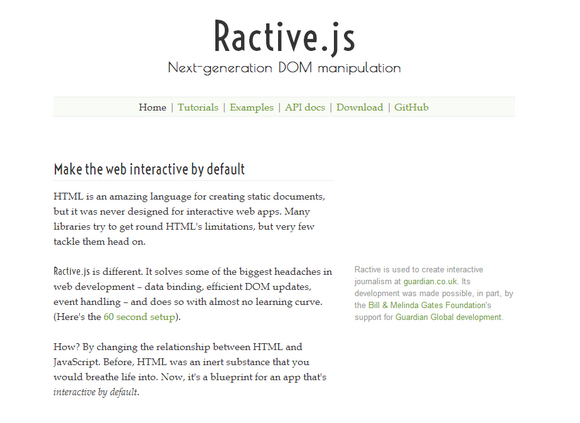 Ractive.js is different. It solves some of the biggest headaches in web development – data binding, efficient DOM updates, event handling – and does so with almost no learning curve.